Kombucha Mushroom: What is it? Manchurian Mushroom Tea? Kombucha Mushroom: What is it? 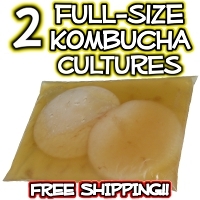 Search for Kombucha on the internet and you’ll find may find reference to “kombucha mushroom tea” or a mysterious “kombucha mushroom.” You might find information about a “Manchurian Mushroom”, see someone selling a “Kombucha Mushroom Kit“, or even strange characters in Chinese or Russian that you can’t read! What is Manchurian Mushroom Tea? In fact, people have said to me many times, “Oh, I’d drink Kombucha but I don’t like mushrooms.” I smile and try not to sound like a know-it-all as I inform them that Kombucha isn’t a mushroom at all, but rather a Symbiotic Culture of Bacteria and Yeast, hence SCOBY. Kombucha Mushrooms Are People Too? Well, mushrooms belong to the kingdom of organisms called Fungus. It is a kingdom because it is completely different from plants, animals and bacteria. Fungi are actually more closely related to the animal kingdom than the plant kingdom (kombucha mushroom people!!). However, while all mushrooms are fungi, not all fungi are mushrooms (and not all fungi are Fun Guys! – sorry again, I’ll stop). 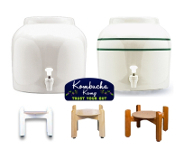 Yeast are fungi, so in that regard the Kombucha cultures, in part, belong to the same family as mushrooms. That doesn’t make them a mushroom. Yeast and mushrooms are distant cousins, not brothers. Who knows, they might not even like each other. Does Everybody Call it a Kombucha Mushroom? In Russian, the kombucha culture is known as čajnyj grib чайный гриб (lit. “tea mushroom”), and the drink itself is grib гриб (“mushroom”). In Chinese, kombucha is known as hongchajun 红茶菌 (literally “red tea fungus/mushroom” [*Hannah’s note – I speak Mandarin Chinese and the literal translation for jun 菌 is bacteria]), hongchagu 红茶菇 (“red tea mushroom”), or chameijun 茶霉菌 (“tea mold”). 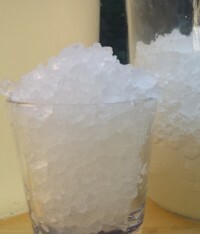 In Japanese, the kombucha drink is known as “kōcha kinoko” 紅茶キノコ (lit. “black tea mushroom” [*Hannah’s note – according to Google translator, this translates to “black tea fungus“]). 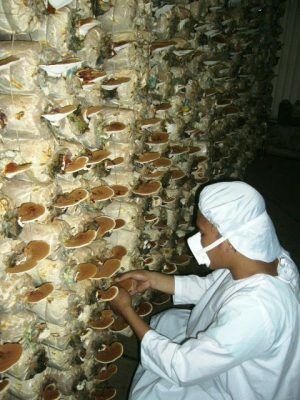 The Chinese & Japanese words for mold, fungus and mushroom all contain the same character, so it is most likely the source from whence the initial misnomer arose. A more accurate translation is likely “red bacteria tea” or even “red mold tea.” Those names would be a pretty tough sell – so I can see why “Mushroom Tea” might be a preferable English translation! Some speculate that the term “kombucha mushroom” came along because of the legendary health benefits of all kinds of mushrooms. 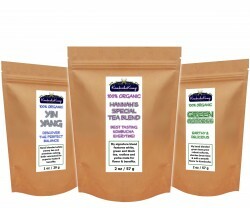 They have long been part of traditional medicine for curing a myriad of ailments and improve longevity. There is something very powerful in this association. As mushrooms are closer to the animal kingdom than the plant kingdom, there is an element of spirituality in consuming the “body” of another living thing, or having that living thing create nourishment for you. It initiates another level of connection to the world around us. So we agree? 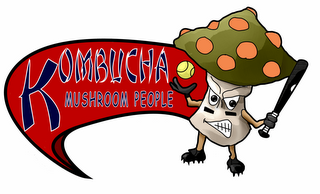 Kombucha is not a Mushroom People! The Kombucha starter culture is very different from real mushrooms in so many aspects (for instance, it doesn’t produce spores). 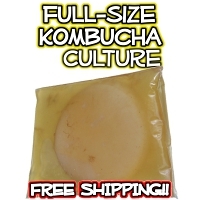 The only real connection is that the Kombucha mushroom misnomer has become a legend that has been passed down through the generations. In French they call it “le champignon de longue vie” (the mushroom of long life). And in Spanish, they say “hongo” (mushroom). But in German, “teepilz” (tea fungus) is the name. And so it goes! Regardless of what you call it, a “Kombucha mushroom” for all about the symbiosis. It is about the harmony that is created when balance is achieved across all the kingdoms: animal (human), plant (tea), fungus (yeast) and bacteria. 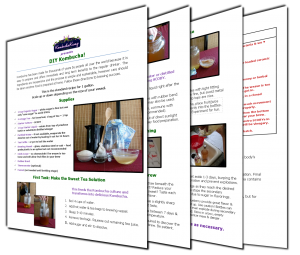 Click here for your Kombucha Mushroom Kit! 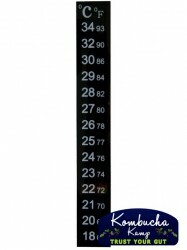 I am just looking to buy a couple of nice, quality scobies – I don’t need a kit. 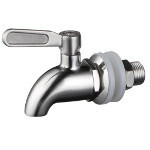 Can you help with that – or point me to a good source? Nice article! 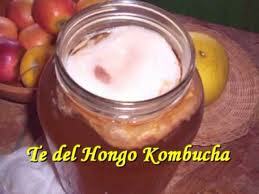 I am sensitive to both fungi and candida…so I have not been too keen on trying Kumbucha. Any thoughts or suggestions? I have the same concern. I have a sensitivity to mushrooms, and wonder, even though it isn’t mushroom, will I have a reaction. Every body is different and will therefore react differently. 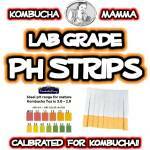 Most with mushroom sensitivities are not affected by Kombucha, but you will have to trust YOUR gut! Kombucha is awesome! According to Gunter Frank, our former prez Ronald Reagan drank kombucha to cure his cancer, and it worked! Too bad the ACS and govt doesn't want us to know about it. Hi Kathy! Thanks for your comment – I understand that you have many questions. 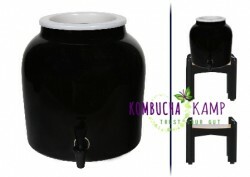 Check out the Brewer's FAQ & join the Kombucha KommUnity to have all of your questions answered! hannah i need help my first batch turned to vinegar and had no carbonation i understand the vinegar thing but why no fizz? what do i do with the old scoby when the new one appears? 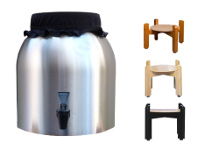 can i use canning jars with sealed lids to bottle? can i use honey at the flavoring stage? does scoby remain dormant if refrigerated and for how long and how to make it wake? I have definitely noticed the resemblence between SCOBYs and mushrooms. 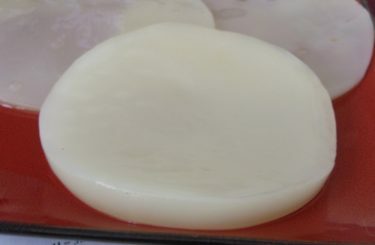 Without a stem or gills like most mushrooms, I find a new creamy white SCOBY reminds me more of the full moon than anything else. Interesting article. I do think people associate mushrooms with health benefits. The scoby kind of looks mushroomish too.